Halloween really is the ultimate children’holiday! Ask any grade schooler what they are looking forward to in the fall, and the answer is inevitably Halloween. From dressing up in costume to scoring lots of candy, Halloween cannot be beat in the minds of the under 12 age group. But as parents, teachers, and caregivers we are sometimes stymied as to what to do for that great Halloween party. We may be afraid that we are not creative enough or won’t have enough for our young party guest to do. So here are a few tips to get you started for things you can do at a Halloween party for kids. •Kids love to be scared- within certain limits. They are much more able to accept what adults or even teens would find ridiculous. To add a spooky touch to the punch, freeze water in latex(keep in mind anyone you know who may be allergic to latex) gloves (tying the ends to keep the water in until frozen)! Use the floating hand or hands in your punch to give the kids a scare when they go to dip their punch cup. For added spookiness consider using dry ice to give the punch bowl the look of “witches brew”. A note of caution though: an adult should supervise since dry ice can burn if touched directly. To really heighten the scare, have an adult dress up like a witch and tell a scary story of what is in the brew. If you get the right story teller the kids may just be mesmerized! •Kids love hands on projects even at a party. If you have room, consider letting the kids decorate their own Halloween shaped sugar cookies. The ease of this project is that you can purchase the undecorated sugar cookies ready made! Simply supply the icing and lots of Halloween candy and decorations, and let the kids go at it. Craft stores, bakeries and even grocery stores stock all sorts of decorating sugars, non pareils, and sprinkles that reflect the Halloween theme. You may even want to have a contest, giving prizes for the best decoration, wackiest cookie or even the scariest! Another choice in the hands-on project would be to let the kids decorate a container to take their goodies home in! Many craft stores sell white Chinese food containers that can be decorated with stickers, markers and glitter glue to become a handy take home container for all the party favors. Again, challenge the kids to show their creativity and make the spookiest or funniest Halloween container. 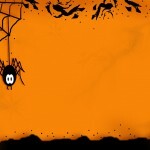 •Another road block in having a party for kids is trying to find appropriate Halloween games. Be willing to think outside the box and craft your own if you can not find what you really want. For example: Pin the Tail on the Donkey can become Pin the Hat on the Witch. Musical chairs can be played with spooky music or sound effects. 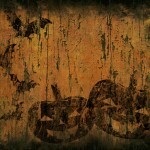 If you are feeling really ambitious, the kids can be sent on a Halloween themed treasure hunt. Clues can be written to reflect Halloween items or even just on Halloween themed paper. The assorted Halloween guests rush from clue to clue to find themselves a treasure of candy or Halloween themed goodies at the end. Kids actually are the easiest party guests. The excitement of Halloween will charge their enthusiasm for whatever you decide to offer at the party. 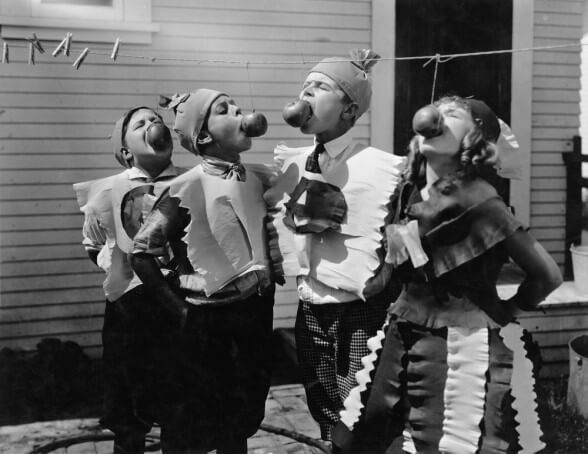 Just be sure your activities are age appropriate and won’t frighten the most timid of your party guests. Whether you decide to have a traditional “spook alley” or a costume contest, the kids who come to your party will only be expecting to have fun. Because after all, isn’t that what Halloween is really all about?